Live a fulfilling, authentic life, and still stay true to your brand, whether that is your personal brand, or your business. Anne- Marie will lead us through what it´s like to “live your brand”. She will also lead us through finding our purpose, if we haven´t done so yet. She will motivate and inspire us to lead a life of our dreams. 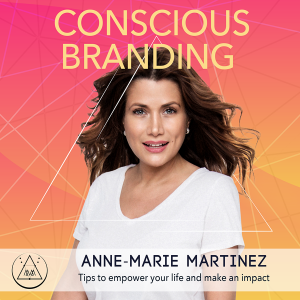 Anne-Marie Martinez, global lifestyle and branding strategist, empowers, enriches and enhances individuals through the practice of conscious connecting. She founded her Lifestyle and Image consulting agency, AMI in 2009 to enable clients to achieve greater success personally and professionally by merging ethical business acumen, entertainment expertise and personal branding. Empowering, enriching and enhancing individuals through the practice of conscious connecting have become the life’s work of global lifestyle and branding strategist, Anne-Marie Martinez. She founded her Lifestyle and Image consulting agency, AMI in 2009 to enable clients to achieve greater success personally and professionally by merging ethical business acumen, entertainment expertise and personal branding. She has worked with top names in the global entertainment and hospitality industries across the globe and has built an extensive portfolio spanning across America, Europe, Middle East, Africa and Asia; working to help elevate brands such as Cavalli Club Dubai, STK; Ibiza, JetSmarter, The ONE Group, Gansevoort Hotel and JetBlue airways. A.M.I. has lectured at The Canadian University of Dubai to discuss “Ethics” in media, the SME World Summit “Building & Branding your business” and has been a participating member of Oprah Winfrey’s "Belief Team” created to encourage discussions on Global Awakening and Human Connection. A proponent of wellness entrepreneurship, she is the founder of “The Conscious Connectors”, an integrated platform dedicated to encouraging opportunities for a healthy world - physically, mentally and socially.